You are here: Home / Build A Music Website / 10 Top Wordpress Plugins For Musicians! If you’ve been following my guides, there’s a good chance you’ve built your WordPress site to showcase your music on, and have all the needed pages up already. Next up, you’ll want to add plugins to your site to make it even more powerful! Now sure what a plugin is? Well according to WordPress themselves, “Plugins are tools to extend the functionality of WordPress”. In other words, if you want your website to have a function that it doesn’t already have, chances are you’ll be able to find a plugin which will give your website that feature. For example, want your site to be able to stream music? There’s a plugin for that. Want to add a forum on your site where fans can interact? There’s a plugin for that too! In fact, there are all sorts of plugins musicians will benefit from, which I why I’ve always recommended building your site using WordPress. 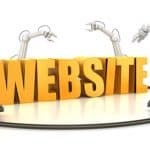 If you haven’t built your site yet, the guide I linked to at the top of this article will show you how to set one up easily. If you already have a site however, let’s move on. 10 Of The Best WordPress Plugins All Musicians Need! Plugins are very important for musicians. That said, with thousands and thousand of plugins already out there, how do you know which to choose? Which ones are good and which ones aren’t? Well, that’s what I’m here to help you decide. Here are 10 of the best plugins for musicians. Be sure to share this guide with others are well, and use what you learn to improve your website. Let’s start off with a big one; the HTML5 jQuery Audio Player! This is, as you may have guessed, a audio player plugin. What this will let you do is upload your songs and allow visitors of your site to play them in their own time. There is a number of ways you can use this. For example, you can put it on your shop page, and use it to give previews of songs which they can buy. Or you could use it to play samples of a EP they can download once they sign up to your mailing list. While there’s a free version which you can use to play your music and do a lot of other cool things, if you want to add extra features (e.g. a buy now button etc), there’s also a option to pay $30 for a bunch of additional features. This isn’t essential though, so have a try of the free version as that may be enough for your needs. There are other audio player plugins out there if you want to look around, but I personally like this one a lot. As well as playing audio on your site, you’ll also want to display your pictures in a way that’s easy for your visitors to view. The NextGEN Gallery can help you achieve that. It’s simple to use, and it allows you to layout your images in a way that your website visitors will love. Further more, it looks very cool. While there are a few gallery plugins out there, this is easily one of the best for stylish music makers such as yourself. If you play gigs or are planning on doing so in future, you’ll need a way to display this event information to people. While you could always add the details to a normal WordPress page or post, it doesn’t look very good. Furthermore, it won’t display the information in the way internet browsers have come to expect. That’s where the Really Simple Events plugin comes in. It allows you to add any up coming events you have on, show visitors the time and place, and also add any additional information that is needed. A must use. Thank Me Later is a plugin I only recently found out about. That said, it’s one that I now really like. What it does is allow you to email people who leave a comment on your site, but not right away. They’ll get this email a certain amount of time later, after a period you specify. The reason you’ll want to do this is because often people come across your site, comment, and never return again. With this plugin though, you can set it to email anyone who comments on your site three days (or more / less) after that comment is left. In this email you can put anything, such as a reminder about your new video, a reminder that they can stay updated by connecting with you on social sites and the like. A powerful plugin for musicians with some good options. 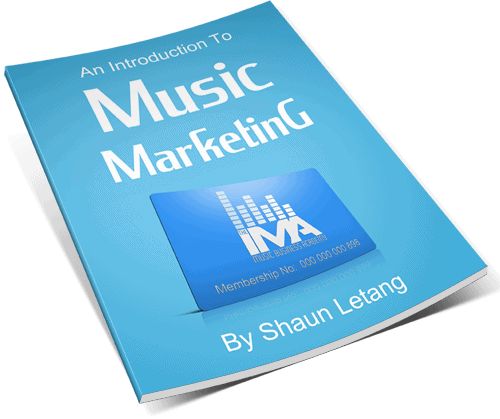 As you may know, building a mailing list is one of the best ways to keep your fans interactive and informed. Email marketing allows you to get your message right where they will nearly always see it: in their email inbox! It’s because of this that you’ll want to collect as many emails as you can. This next plugin, Hybrid Connect, allows you to do just that. 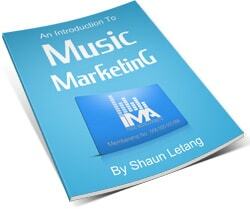 In fact, it’s the plugin I use to collect most of my email addresses on Music Industry How To. Hybrid Connect basically allows you to add a slick looking lightbox to your website, which appears to your visitors as often as you tell it to. One way you can use this lightbox is by offering a free song of yours in exchange for people’s email address. A percentage of people will take you up on this offer. This will get you a lot more subscribers than if you only put your sign up form in your sidebar, simply because it gets in front of the visitors and makes it impossible to ignore. When I added this plugin to my site, I multiplied my daily subscriber number by over 300%. This is a premium plugin, but with all those extra subscribers you get, over time it will pay for itself. You’ll of course want to add a link to your forums from the ‘my forums’ text. If you haven’t yet got any forums, I’ll soon show you a free plugin which will allow you to add one to your site. If you don’t want to add a forum, alternatively you can use this page they’re redirected to to get them on your mailing list, subscribe to your social sites, sell songs, raise awareness of one of your videos, or anything else you want. Ok, so that’s 6 plugins down. The next 4 though are all just as helpful (number 8 is especially great for driving new fans). As I mentioned earlier, if you want to add a forum to your WordPress site, there’s a plugin for that: bbPress! bbPress is actually made by the same people who made the WordPress content management system, so you know it will be good quality. Forums are great for getting people involved with you and your music, and acts as a great reminder to build up your community. One huge benefit of this is that fans make friends with each other, and will keep coming back to talk to their new friends in a trusted environment. This is great for you; you’ll always be able to get your message in front of them as they’ll naturally be visiting your site regularly. 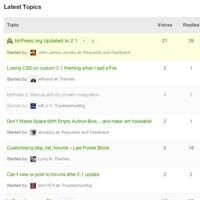 There are other forum plugins around, but as this one is the official WordPress one, you can be confident that it will be supported and updated well into the future. Reminds people they can share my content. This essentially helps me get my message out there more when people do share. These social share buttons can play a big part in getting more fans and helping spread the word about you, so give them a look. There are also a lot more social sharing plugins around, so do a search and choose which one is best for you. 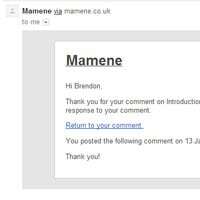 While fans and business people can potentially contact you via social sites, it’s always good to give people a way to contact you via email. That said, if you start pasting your email address all around the internet, there’s a good chance it’ll get picked up by spammers and you’ll start to receive an increasing amount of spam mail. This is where this next plugin comes in handy. With Contact Form 7 you can add a contact form to your site. It doesn’t display your email address, so spammers aren’t able to pick it up and send you junk. Furthermore, it makes your contact page look really professional. A top plugin I’ve been using for years (including on this website). The final plugin isn’t one that will improve your music or interaction with fans, but it’s still just as important. Akismet will help stop spammers from flooding your comment system and making your website look spammy in itself. There are ‘bots’ out there which go around leaving spam comments on websites, and Akismet largely stops them from bugging you and your site. This plugin has saved me so much frustration over the years, so be sure to sign up. You’ll need a free personal account with them to make this work. Once you install the plugin, it’ll let you know where to sign up. Above are 10 of the best WordPress plugins for musicians. All of these are super useful, and can help make your site more functional than ever. At this point in July 2016; at least half of these plugins are outdated due to zero-maintenance by their writer. While they may still work, they might not be any longer fully secure and have serious undisclosed vulnerabilities. Digg Digg	Last Updated: 3 years ago. 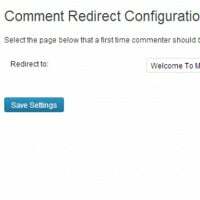 Comment Redirect	Last Updated: 2 years ago. Untested with current version of WordPress. Really Simple Events	Last Updated: 3 years ago. Thanks for a number of suggestions of most useful and practical plugins. ‘Great article. Great stuff as always! Installing some of these onto my bands website as I type!